Zuluk, with the magnificent Kanchenjungha with its mighty range, a very rich and dense flora and fauna, chirps of innumerable never-seen-before species of birs, sloopy green mountain cultivation, the famous Jeep-La pass leading to Tibet – This are the features that build a place called Zuluk. Located at 10,000ft, Zuluk is a tiny hamlet in East Sikkim with a population of around 350 people. Tourism is in its adolescence in Zuluk as the place got started explored only a few years back. A very small accommodating capacity of around 60-70 tourists, Zuluk remains unspoiled due to this sort of restrictions. Mostly Home stays and a few lodge have come up to cater the growing needs of tourism in the area. A local Self Help Group also provides accommodation to the tourists. The Old Silk Route originates from Kalimpong and passes through Pedong, Aritar, Zuluk and Jelepla to Chumbi valley located in Tibet. However, after the Chinese aggression, this route was closed and Nathula was made the official corridor between India and China. In earlier days, before construction of any pucca road, traders used this route for trade with Tibet. Later, a Briton named Young Husband had used for a trip from Kalimpong to Lhasa in earlier 20th century. The track got closed in 1962 after the Indo China War errupted. It appears, that Mother Nature had been quite spendthrift while preparing Zuluk. With abundant natural beauty and mightly Kanchenjungha in the foreground, Zuluk is rapidly becoming a very popular destination. Apart from cultivation and cattle rearing, the locals had adopted tourism as a means of earning. The socio-economic conditions of families living here in Zuluk improved quite steadily. A paradise for Bird Watcher’s , Zuluk is becoming a hot spot in the birding map of India too. Species found in this route consists of the following including the famous Monal and Satyr Tragopan. Though a rare appearance, but a glimpse of Monal could be a life timer. Zuluk is mostly inhabited by Nepali migrants and therefore the village is dominated by Sikkimese Nepalese culture. Dashain, which is being celebrated in the month of October, is the biggest festival here in this region followed by Tihar which falls after a fortnight from Dashain. The 'Dhan Naach' and 'Maruni' are two popular dance forms of this region. Zuluk is also famous for its Sunrise Point, Tsomogo Lake, which is a popular picnic , the Nag Temple and the Adi Baba Mandir. In addition to this, Lungthung and the Luxmi Chowk are popular among wildlife and nature lovers. The nearest airport is Bagdogra, located at a distance of 128 km from Zuluk. The nearest Railhead is New Jalpaiguri (NJP) from where one can avail direct hired vehicle to Zuluk. Another option for those who wants to cover Lava, Lolegaon, Rishyap, Kolakham in this tour is New Mal Jn. , which is a bit shorter than the NJP route. The best time to visit Zuluk is during the summer season, when the village is blooming with a variety of rhododendrons. An oval shaped Tsomogo Lake is a must see during your Zuluk Tour, Nag Temple, which is dedicated to the Nag Devta, houses a beautiful statue of King Cobra or Nag. Naturally formed, this statue has been made through cracks in big rocks. In addition to this, the Adi Baba Mandir is also a popular spot to go. 11000 ft. high Thambi View point offers three level zigzag roads on the hilly terrain with typical curves. Lungthung, another 2000 ft ascent from Thambi view point is a popular point covered mostly by Ornithologists and bird lovers due to existence of Khaleez Pheasant, Monal Pheasant, Monal Pheasant, Snow Pheasant. While proceeding further, Luxmi Chowk is also a point to halt due to beautiful surroundings of Forestry and Rhododendrons which is also a bird watching place. The Kalpakhari Lake, enroute the Adi Baba Mandir can let you see beautiful Ducks swimming in the lake itself. Chung Chung Resort is situated at lower Zuluk (Lungthung) with all basic facilities. The Resort is being set up at an altitude of 12200 ft. ad it is perched up on a slpe with steep mountains on three sides tucked in the foothills of the Himalayas. With an excellent view all around Chung Chung Resort offers warm homely atmosphere to the visitors. 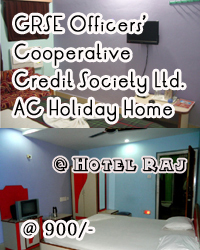 900/- per day per head which includes lodging, Bed Tea, Breakfast, Lunch, Evening Tea and Dinner.